Broadway In Chicago is pleased announce a new informational ticket campaign to highlight safe buying practices for your favorite Broadway shows. “Today the consumer has many options when purchasing tickets for all live events but for Broadway In Chicago there is only one official ticket source that will provide the consumer the best seats, at the best price, with assurance of the best service,” Lou Raizin, President of Broadway In Chicago, said. Only Buy from the Official Ticketing Source. BroadwayInChicago.com and Ticketmaster.com are the only official sites for tickets. 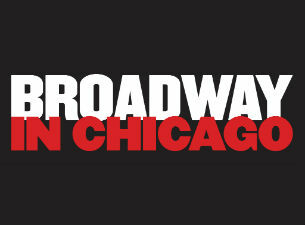 Visit a Broadway In Chicago Box Office for personal service with no service charges. This video has been produced with the consumer in mind. This information is to help the consumer who is often confused by the disparity in pricing for popular shows on the internet. And there are risks in buying from unofficial sources that are sometimes not obvious. Tickets obtained from unauthorized sources may be stolen, counterfeit or invalid and may not be honored. Tickets purchased from other sources are often inflated in price and not eligible for assistance if tickets are lost, stolen or in the event the show is cancelled or rescheduled.